Game of Thrones meets Graceling in this shocking and action-packed fantasy—the highly anticipated final book in the New York Times bestselling Snow Like Ashes series.Angra is alive, his Decay is spreading—and no one is safe.Meira will do anything to save her world. With Angra trying to break through her mental defenses, she desperately needs to learn to control her own magic—so when the leader of a mysterious Order from Paisly offers to teach her, Meira jumps at the chance. But the true solution to stopping the Decay lies in a labyrinth deep beneath the Season Kingdoms. To defeat Angra, Meira will have to enter the labyrinth, destroy the very magic she’s learning to control-- and make the biggest sacrifice of all.Mather will do anything to save his queen. He needs to rally the Children of the Thaw, find Meira—and finally tell her how he really feels. 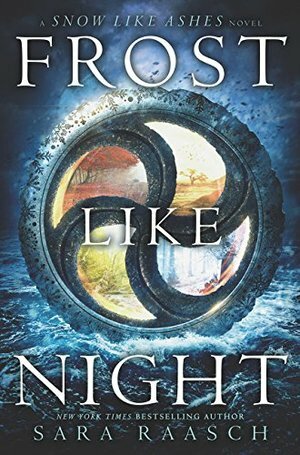 But with a plan of attack that leaves no kingdom unscathed and a major betrayal within their ranks, winning the war—and protecting Meira—slips farther and farther out of reach.Ceridwen will do anything to save her people. Angra had her brother killed, stole her kingdom, and made her a prisoner. But when she’s freed by an unexpected ally who reveals a shocking truth behind Summer’s slave trade, Ceridwen must take action to save her true love and her kingdom, even if it costs her what little she has left.As Angra unleashes the Decay on the world, Meira, Mather, and Ceridwen must bring the kingdoms of Primoria together…or lose everything.